Are You Disappointed With The Results That Your Adwords Account Is Producing? Are you disappointed with the results that your AdWords account is producing? If so, try this five step guide to PPC management. The following tips will help you to improve the results of your AdWords promotions, without you having to invest hours into your account. Take a few minutes to determine why you’re running an AdWords campaign in the first place – beyond just wanting more sales. Currently, you’re not happy with your account’s performance, otherwise you wouldn’t be reading this. What would make you happier? Do you want more traffic? Do you want to reduce your adwords spend? Or, do you want to improve your conversion rate? Once you know what you want, you can focus your pay-per-click management efforts on improving your ad’s weaknesses. If it’s been a while since you’ve checked your AdWords campaign settings, then you should definitely log in to your account and tweak your settings. Google is always improving their AdWords offering, and you could be missing out on useful tweaks such as geotargeting, location targeting, and even scheduling features. These features could save you a lot of money. There’s no sense advertising a London based pizza shop to someone in Edinburgh. An iPhone owner probably doesn’t want your Android app, and you’ll get far more interest from businesses if you advertise your product during business hours. From now on, stay on top of your pay per click management, and make a point of checking in on your account at least once per month. In Step 1, you figured out what you wanted from your AdWords campaign. Use the Adwords filtering options to get a list of keywords that aren’t giving you what you want. That could be keywords that aren’t getting clicked on at all, or ones that are getting clicks – but those clicks aren’t turning in to conversions. Once you’ve picked out the keywords that aren’t working for you, get rid of them. One way to improve the quality of the traffic you get from Adwords is to use negative keywords. When you set a negative keyword, that means that if someone searches for your search term, but also uses those keywords, your ad will not be shown. An example of a negative keyword would be “free download” – there’s no point trying to sell your product to someone that wants to download it. If you were selling video games, you probably wouldn’t want your advertisement to be shown to someone who searched for “guide” or “walkthrough”, because that implies they already own the game. Negative keywords can help you to avoid a lot of useless, money wasting clicks. It’s one of the best-kept secrets of PPC management. If you have some ads that you think could work, but need a little tweaking first, then pause them for now. There’s no sense in leaving them running while you try to figure out what’s wrong with them. Pausing them will buy you time to do more keyword research. Now, go back to step one and start researching and testing new ads. 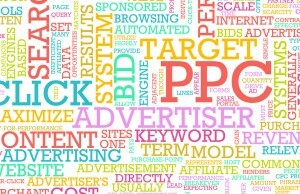 This post was written by Crispin Jones for Boom Online Marketing the PPC management experts. This is a great overview of AdWords. There are a lot of options these days that can help us fine-tune the ad campaign. Your first point, about figuring out what we want to accomplish with the campaign, is so important and yet easy to overlook. We really have to know exactly what we are after if we expect to see some results. A precise goal can be measured. If we want to generate more leads, for instance, we’ll know quickly if the campaign is working. Next post: Want to prevent Customer loss? Polish your customer service.